A haunting and hypnotic evening of music that stirs echoes of a distant and restless past. This Tennessee-based Southern Gothic songster crosses the boundaries of blues and old time music with deeply moving interpretations all her own. Provocative and cooly fierce, Amythyst Kiah’s raw and powerful vocals create a deeply moving, hypnotic sound that stirs echoes of a distant and restless past. 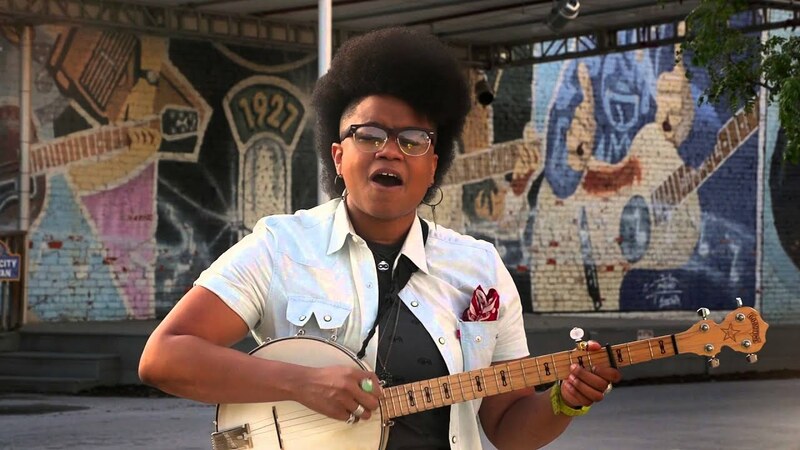 Accoutred interchangeably with banjo, acoustic guitar, or a full band (Her Chest of Glass), Amythyst's toolbox is augmented by her scholarship of African-American roots music. Her eclectic influences span decades, drawing heavily on old time music (Mississippi Sheiks, Son House, Jimmie Rodgers, Olla Belle Reed, Carter Family), inspired by strong R&B and country music vocalists from the '50s-'70s (Big Mama Thornton, Sister Rosetta Tharpe, Mahalia Jackson, Dolly Parton, Patsy Cline, Loretta Lynn) and influenced by contemporary artists with powerful vocal integrity (Adele, Florence and the Machine, Megan Jean and the KFB, Janelle Monae). This performance appears as part of the Rhiannon Giddens Residency.